Thank you, Amazon! Anyone interested in the evolution and adoption of eCommerce technology probably owes a debt of gratitude to Amazon for announcing their acquisition of Whole Foods this past June. If some companies in the grocery industry weren’t already focused on eCommerce and digital enablement, this single announcement has given the industry a much-needed wakeup call. More than ever, grocery retailers are aware of the necessity to be far more digitally-enabled to engage their shoppers. Whether you are retailer who has been doing the eCommerce game for some time or a new entrant into the space, most retailers are having to reflect on what eCommerce really means going forward. The expectations of shoppers are changing. To heighten the sense of urgency, most of the anticipated revenue growth in the grocery industry over the next decade is expected to occur in eCommerce, while traditional in-store sales are expected to remain flat. Anything worth doing is worth doing right. Beyond choosing the right technology platform, there are many important considerations surrounding the development of a digital vision that should drive success. Retailers must ask these fundamental questions: Can we be successful? How do we make money? 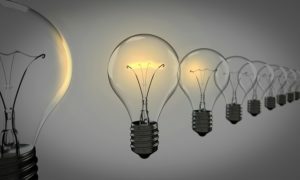 What’s the right plan for our business? Retailers can no longer merely “bolt-on” online ordering sites and declare eCommerce victory. Instead, retailers must consider a wider array of digital capabilities to engage their shoppers throughout the shopping lifecycle; otherwise, they will miss the mark. Some want to plan online in advance and then shop in the store. Some want to plan online, order online, and then pick up in the store. Some want to leverage the traditional point-of-sale and/or use self-checkout approaches. Some want to plan online, then use their own smartphone or mobile device in store to scan products and facilitate mobile self-checkout without visiting a cashier. Shoppers will leverage each of these channels at different points depending on their needs. 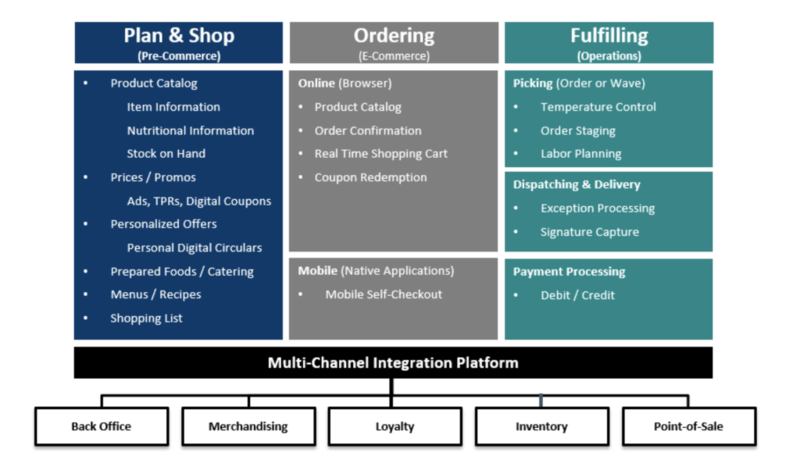 Given the diversity of these multi-channel expectations that shoppers now have, there are two important considerations when determining your path going forward: First, it’s essential that retailers offer a consistent, frictionless shopping experience across each channel; and second, to do so properly, having tight integration with existing merchandising, loyalty, inventory, back-office, and point-of-sale systems will be a critical success factor. The chart below illustrates the future-looking capabilities needed to support the full digitally enabled shopping lifecycle. The left side of the chart depicts the important digitally enabled shopping planning capabilities (also known as preCommerce), which are beneficial for shoppers regardless of whether they are ordering online or shopping in-store. The chart also shows the most common integration dependencies. Despite the guidance recommending technology solution providers with broad capabilities, it is not advisable or necessary to do everything everywhere. A more practical approach would be for the retailer to see digital and eCommerce adoption as a journey that will evolve over time. Digital and eCommerce capabilities can and should vary by store and by market over time to correlate directly with the needs and expectations of shoppers in those discrete markets. An urban market may have an immediate need for online ordering with store pickup or home delivery, while a more rural market may be ready in one or two years. See below. While eCommerce capabilities will evolve over a time-horizon, it is generally a very good idea to enable PreCommerce (Plan & Shop Functions) everywhere immediately. Doing so delivers immediate value to your shoppers, and it augments the traditional in-store shopping experience. Deploying preCommerce initially simplifies implementation and allows each store or market to prepare for eCommerce. This approach will also simplify and speed up the rollout process as it makes sense for each individual retailer and market that they serve. Technology providers that offer comprehensive suites. When retailers implement online and operational capabilities from disparate solution providers, they will likely pay the price with labor productivity impacts, out-of-stocks, and other factors. Solution providers that offer retailer branded solutions. It may be risky over time for a retailer to engage with one of the emerging “marketplace” solution providers who transparently offer an outsourced shopping solution to competing retailers in the very same market area. You will be able to spot these companies when they are more focused on promoting their brand than the retailer’s brand. Solution providers that offer tight integration with existing merchandising, loyalty, inventory, POS, and back office systems. Solution providers with strong financial positions. Like other areas of innovative technology solutions, there are too many (15+) poorly capitalized solution providers chasing this emerging eCommerce opportunity. There will be a shakeout over time where fewer number of stronger companies survive. Some of the others will either consolidate or leave the space. Solution providers focused on the future. There is a robust portfolio of emerging technologies that will define future success. These emerging technologies include indoor positioning, connected kitchen, Amazon Echo or Google Home integration, and other things. Digital and eCommerce technologies are moving at a fast pace. Solution providers that have operational excellence as a core competency. eCommerce grocery is a business that is driven by operational excellence and made better by technology, not the other way around. For more information on Digital Enablement and eCommerce, consider participating in an upcoming webinar scheduled for November 28th at 8AM Pacific Time (11AM Eastern Time). For more information about the webinar, click here. 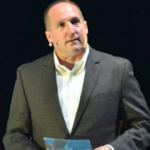 About the author: Todd P. Michaud is the President & CEO of Transformational Retail Technologies. He is also the Chairman of the Board for both I.Me.Mine Digital Inc., a leading shopper personalization solution for retailers, and GrocerKey Inc., a leading eCommerce and mobile shopping platform for retailers. More information about the author is available at his LinkedIn profile.